This is the 4th installment of the First Purge. I have to be honest I wasn’t really invested in the first three and agreed to view this because a colleague said its quite good. Low and behold it is. Gone is Ethan Hawke but we are introduced to new characters such as drug king/hero William portrayed by Y’lan Noel and activist Nya played by Lex Scott Davis. Rounding out the cast Joivan Wade who plays Nya brother Isaiah, Mugga as Dolores and Lauren Velez as Luisa. This movie introduces us to the architect of the Purge Dr. Updale depicted by Marisa Tomei. It's 2014, and the new admiration thinks America is overpopulated. So, they decided to focus on the poor, the disenfranchised, criminals and motivate them to turn on each other. Staten Island is the test group for the experiment. Money, the root of all evil, is the enticement. You stay you get paid, you roam you get paid, and you kill you get paid. This movie is very in step with the current political climate which is accosting the same people targeted in this movie. The concept is not far fetched, and history has shown how the government has interfered in keeping the poor more impoverished. The first purge demonstrates that all though folks are poor and feeling disconnect doesn’t mean that they lack morals and hence the experiment is manipulated. The idea that poor people have morals was never considered so, in turn, the agitators were pulled in to produce the result they wanted. In the end, money is not everything. Friends matter, the community matter, and poverty don’t turn everyone into criminals. 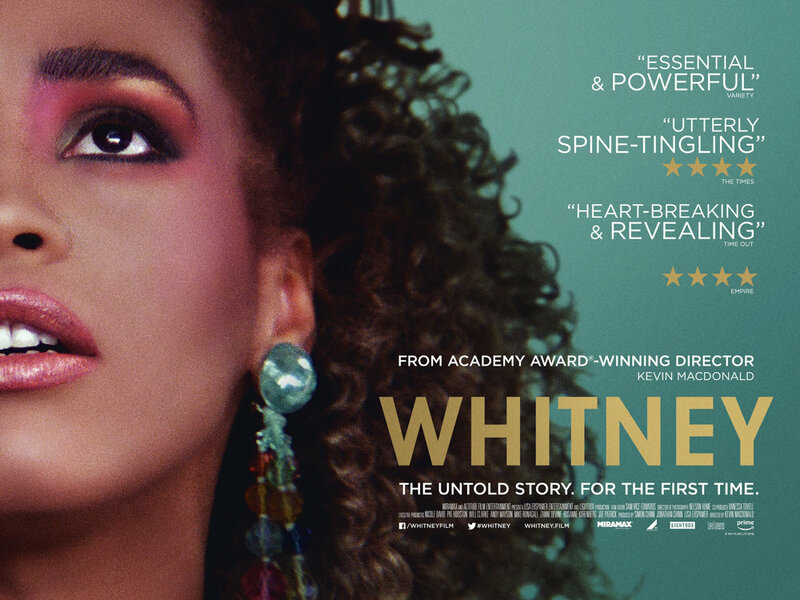 Whitney is the biopic documentary about Whitney Houston. It covers her beginnings in Newark up to her untimely death in February of 2012. The movie dives into many of the unanswered questions about her private life and confirms so many of the rumors previously denied. She had a mother she wanted to emulate, a father that manipulated her love, brothers that took advantage and Clive Davis that erased as much of her blackness re branding her into his singing mannequin. All these elements contributed to her out of this world success. Even now twenty years later there is much discomfort when the movie discusses her relationship with a lost friend/girlfriend Robyn Crawford. Crawford who has remained silent on her relationship with Whitney declined to participate in the documentary. Bobby Brown makes an appearance, however, is very reluctant to discuss the addiction portion of their relationship. The person that stands out the most is her assistant Mary Jones. Ms. Jones is incredibly honest when she speaks about Whitney’s challenges but also endearing. She seems to be one of the few people that genuinely loved her. A family is supposed to protect you from your demons not enable them. Michael and Gary, her brothers, are forced upon her professional circle via her father, John Houston. Neither seems to take responsibility for their part of her undoing. What is evident throughout this entire movie there weren't many moments of sheer happiness for Whitney. The more famous she became, the more alone she felt. This movie gives you a better understanding of the beast that's fame. She gave us so many extraordinary moments, yet we failed her when she needed us the most.